For my initial reviews of years one and two, click here: Boxycharm Year One. Boxycharm Year Two. I also made a retrospective of years one and two, evaluating if my opinions on those items changed or stayed the same as I developed my makeup knowledge. My personal relationship with makeup has changed a bit since I started project panning. As such, I think the “love” and “hate” categories will be more selective this year. For some items, I “liked” them purely because they were a product that was fun to try but that I never would’ve purchased myself. At the same time, I don’t get a ton of use out of them. The “loved” items are really the ones I have incorporated into my makeup routine regularly and would repurchase. The items I love equaled $227 more than I even spent on the box. In addition to that, I had the opportunity to try $770.08 of products that I enjoyed trying and wouldn’t have purchased for myself (or that I liked but wouldn’t upset my favorites). In that process, I probably also spent less on makeup outside of Boxycharm, as I focused on using the products I already have. To me, Boxycharm is still worth it. But if you look through this list, you’ll see that Boxycharm is kind of a long-game. Getting the three month plan has saved me $16/year over the month-to-month plan and forces me to stick it out when I get cranky with one box. I didn’t have a total dud this past year, but if I had to choose, September 2017 was probably my least favorite box. Like in my 2016-2017 review, I’m color coding this. Green items are loves. In order to qualify as a “loved” item, it has to be something I would repurchase. Black items are liked. Red items were things I got no value out of receiving. Electric Eyes Palette by Blinc, $45: This is a surprisingly great palette. While it’s all shimmers, I love it as a pop of color. It has amazing longevity. Ultra-matte Lip by ColourPop, $6: I had really wanted to try the popular ColourPop liquid lipsticks. Ultimately I was disappointed by them and find them drying. But I’m happier that I received this in my Boxycharm rather than purchasing on my own and being disappointed. Invisible Light Translucent Powder Duo by bareMinerals, $32: This product doesn’t seem to do much. I thought I was using it wrong, but it got negative reviews from quite a few people. So it wasn’t just me! Uni-Brow Universal Eyebrow Pencil by WinkyLux, $12: I like the ease of using this thick pencil and its lasting power. But it’s really not the greatest eyebrow pencil for me. I have pretty dark brows, and this makes them bolder than I normally go for. I’m unsure how it could be “universal” for others. It is in my October Project Pan, as I’m about to use it up. Waterproof Gel Eyeliner by Bellapierre, $15: This is a great product in some ways, but sharpening it can be difficult. In the twelve months of this list, we received at least four different black eyeliners of various forms. So even if this wasn’t my favorite, it wasn’t the worst. Pro Eyelashes by PUR, $14: I always love getting false lashes. I put learning how to wear them on my summer bucket list. But the style I got from PUR had a kind of thick band and seemed more difficult to use. I ended up giving them away. #GRLPWR Liquid Lipstick by The Beauty Crop, $14.95: This product was so drying and flaky. It did not make me feel any girl power. 0/10. I would not recommend this to anyone. Rainforest of the Sea: Vol. II by Tarte, $36: In general, Tarte does not have my favorite eyeshadow formula. It is not super long wearing. However, this is a beautiful palette in terms of packaging alone. 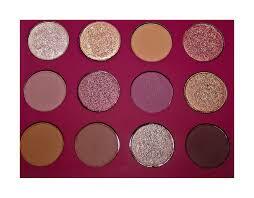 And I would definitely rebuy this specific palette just for the shade Breezy. There is something about the gray-taupe shade with its particular finish that is BEAUTIFUL. I cannot express enough how much I love that specific shade, and I don’t get that way about eyeshadows very often. Soiree Diaries Eyeshadow Palette by PUR, $34: I enjoy this palette. It’s a decent quality. But as far as warm-toned eyeshadow palettes go, I prefer the Tartelette Toasted Palette. The eyeshadow longevity is comparable for most shades, and I just like the variance in shimmer/matte/glitter shades better in the slightly warmer Toasted palette. Eyebrows by MAC Cosmetics, $18: This is my first MAC product! And it’s just an eyebrow pencil. An eyebrow pencil would have to really impress me to make me want to repurchase it, and this poor product was compounded by the fact that I was hoping for a more interesting experience with my first MAC product. Ultra Satin Lip by ColourPop, $6: I had the same issue with this as with the other ColourPop lippie we got. I was disappointed in them, but it was nice to be able to try the satin formula. At the same time, I’m giving this a hate just because we’d received a ColourPop lippie two months ago! Loose Blush by Studio Makeup, $35: This was a very ugly dusty rose grandma shade. Sometimes shades that seem super ugly in the packaging can be really nice on the skin. This was not the case for me. I can’t comment on the quality of this blush, as I gave it away to someone whose skin tone it would complement better. Face Perfecting Brush by bareMinerals, $28: This is one of those foundation brushes with a little dip in the middle to hold product. To be honest, I think it’s gimmicky. And since I use a sponge for my foundation most the time, I don’t love this product. But… it was fun to try a gimmicky product. Don’t Despair Repair Deep Conditioning Mask by Briogeo, $20: I know this is a lot of people’s holy grail hair product. I just don’t get much use out of most hair products because of the nature of my hair needs. I can’t use most products. I ended up giving this away. Poredermabrasion by Dr. Brandt, $58: I am a huge Dr. Brandt fan girl, thanks to its presence in subscription boxes. This is a great, lightweight scrub with super tiny beads that are perfect. Shimmering Skin Perfector Liquid Highlighter by Becca, $41: I really wish I’d received the pressed highlight. I am so glad I got to try this. Liquid highlighter in general is not my thing. I just have never figured out how to use it well. I’ve watched a few videos on it, but I feel like liquid highlight is for people who want more “glow” than I typically go for. Maybe by this time next year I’ll have a totally different opinion. Either way, this isn’t a regret, because this is a product I got to try even though I wouldn’t have purchased it myself. Tarteist Quick Dry matte Lip Paint by Tarte, $20: I lucked out and got the bright red I was hoping for. I do like this formula, even though nothing really compares to my love, the OFRA liquid lipstick. 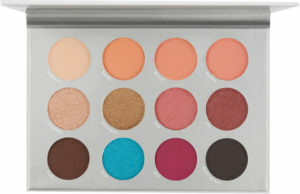 Eyeshadow Chubby by Dirty Little Secrets, $14: I hate eyeshadow sticks like this. They crease, they don’t last. I just don’t get it as a type of makeup. I have even tried using these creamier sticks as a base for my eyeshadow, and it never works. Lip Liner Pencil by Jonteblu, $5: I’m happy I got this bright red shade. This does feather, so it’s not a go to. I also don’t need lip liners often. But when I want to be extra precise, it’s nice to have this option. And it was nice that Boxycharm matched this shade to the shade of the Tarte lip paint. Quad Eye Travel Set by Luxie Beauty, $32: I love the small size of these brushes. Also, the brushes themselves are pretty decent and fun. I’m very pleased with this product for its quality and usefulness. Illuminating Setting Spray by CoverFX, $31: Like the other setting spray (from July), this is one that I would not repurchase because for the cost, I’d rather stick with my standbys. This also has a glitter in it. So shake well before use. Also, it takes me more than four months to go through a setting spray. So Boxycharm is really added to my product backstock with this. 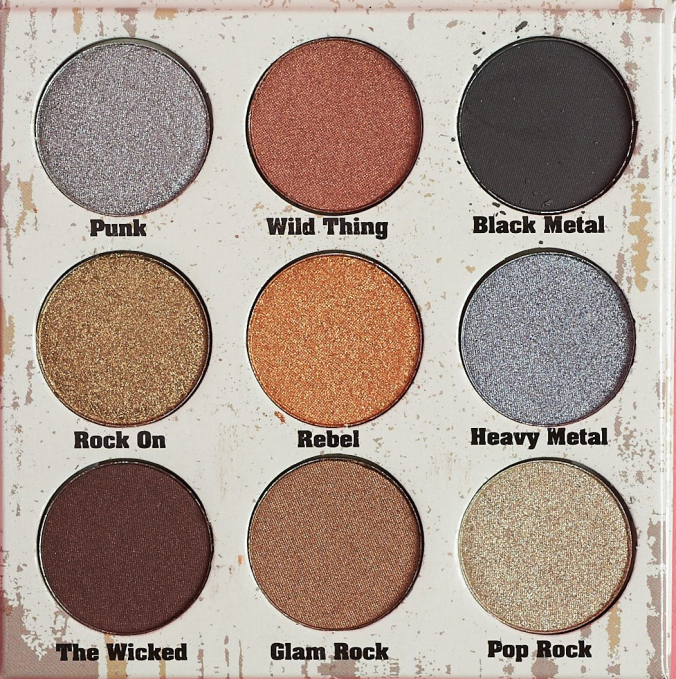 Kitten Palette by WinkyLux, $25: I’m shocked at how much I liked this palette. The gold has this red tone to it that’s beautiful but unexpected. Every time I use the gold, I’m surprised by the color on my eyelids compared to in the pan. 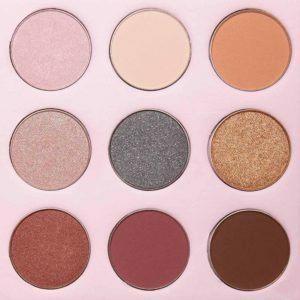 This is such an easy palette to use to create neutral, pink, or gold looks. I’ve been impressed by the blendability, lasting power, and overall quality as well. Cloud Lips by LAQA & Co., $17: This is literally one of the worst products I’ve received. I wouldn’t even give this away. It was a horrible dark shade that was splotchy and transferred everywhere. If it’s not pretty AND it doesn’t last, what’s the point? Collagen Lip Masks by KNC Beauty, $15: These are a fun novelty, but they’re totally useless. I would never buy this. I don’t think there’s any actual benefit to this type of product or lasting positive impact of this type of product. 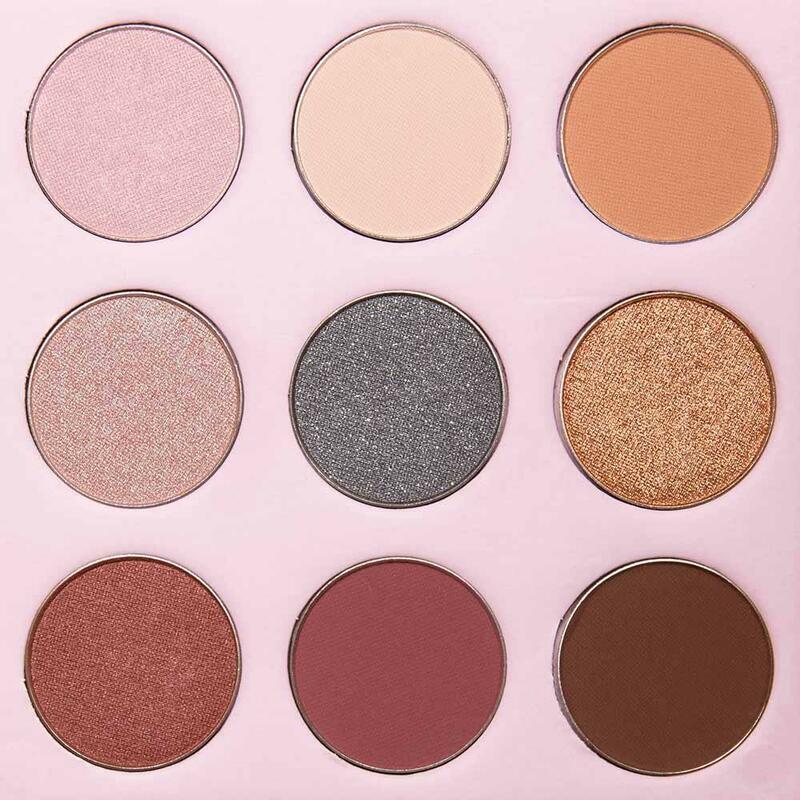 Blush Kit by Real Her, $32: I wanted to love this. I was excited to get it. But when push came to shove, the colors just didn’t work on me. At first, I thought it was the formula. I tried different types brushes. I tried scraping off the top layer of the pan. I could never get the pigmentation I wanted. Finally I swatched them and realized I didn’t even like the color on my skintone. These just didn’t work for me. Deluxe Blush Brush by Crown Brush, $12: I like how dense this brush is, and I didn’t have anything like it before. It’s changed my blush game in some way because it’s varied the types of blush I can use. 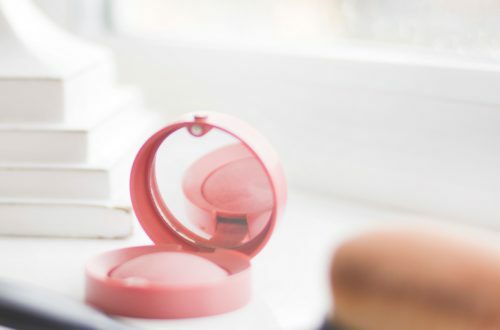 This year had been a blush discovery year for me, and this contributed to my understanding that it’s not all about shade and finish, but that formula matters. My Lips Are Sealed Lightweight Liquid Lipstick by Pretty Vulgar, $24: I really like the metallic sheen of this lipstick. It has acceptable staying power and is a beautiful shade. I don’t tend to love metallic liquid lipsticks, purely because they don’t last as long as matte formulas, and they tend to draw attention to the creasing of your lips. So I would not repurchase, but I like it. Tarteist Lash Paint Mascara by Tarte, $23: Originally, I did not like this mascara because the sample size version’s bristles are much more tough and hard to use than the full size. I do love the full size a lot more, and I like the formula a lot. 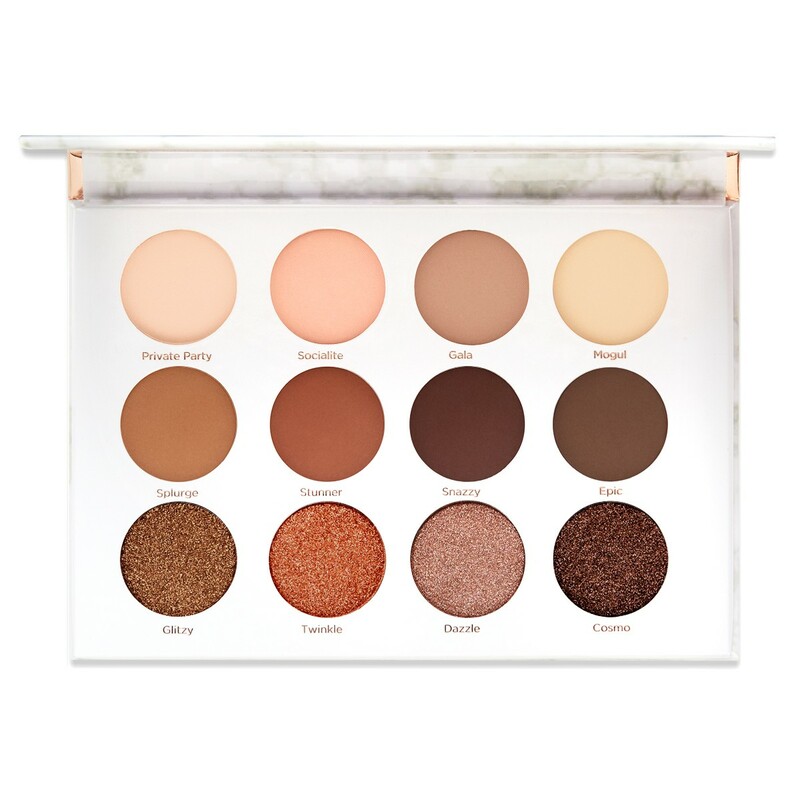 Bronze Essentials by Beaute Basics, $39.95: I actually really like this. It’s a weird gold, light tan, and darker bronze pressed pan. The gold is super glittery. This would be a terrible bronzer, though. It’s very orangey with chucks of gold glitter. But using it as an eye shadow or carefully to sculpt the face? That’s doable. I would NEVER pay $40 for it! And I understand why so many reviewers complained about this. Pores No More Luminizer Primer by Dr. Brandt, $38: Unfortunately this product either emphasized or created texture on my face. I’ve had this problem with luminizing primers before. I’m still a huge fan of the Dr. Brandt products we often receive in subscription boxes. Brow Power Universal Eyebrow Pencil by IT Cosmetics, $24: I really like this eyebrow pencil. It’s softer than some I’ve tried, and it’s lighter (and more universal?) than the Winky Lux eyebrow pencil I’ve been panning. 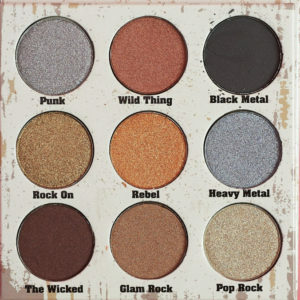 Glam Metals Palette by Crown Pro, $25: This is fun in that it has different shades that your typical trendy eyeshadow palettes of the day. But when push comes to shove, the quality isn’t amazing. I kept this only because I don’t have similar shades. But I also haven’t been using it, which leads me to believe that I don’t own these shades because I don’t need/want these shades. 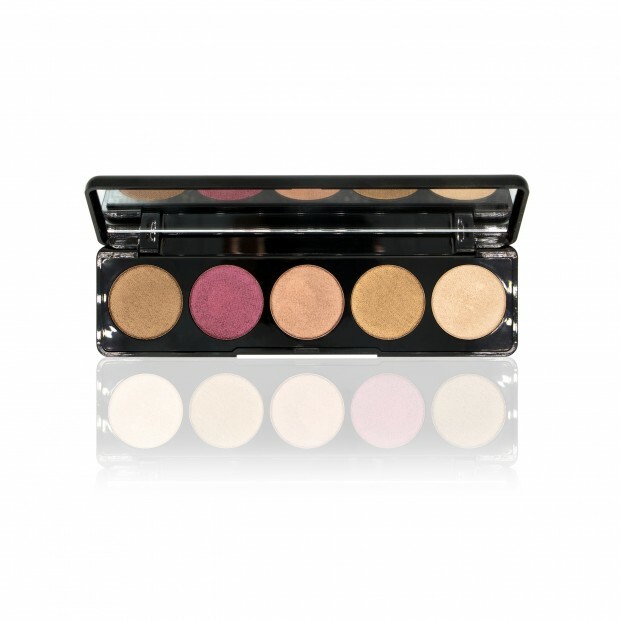 Bronze and Brighten Cheek Palette by PUR, $34: I would probably like this palette. I’m just still using up nearly the same PUR blush shade. The bronze is super glimmery, while I prefer matte bronzers. The highlight appeared beautiful though. I gave this to a friend. Grandelips Hydrating Lip Plumper by Grande Cosmetics, $27: I’m surprised to say that I really like this. The applicator is pretty strange. But the product is a beautiful shade. It does tingle and plumps the lips. I don’t know that this will become a standard in my product line up, but I liked receiving it. Holographic Highlighter Palette by Naked Cosmetics, $39.99: This is such a fun addition to the box. It’s unique. I don’t know if the quality can compare to similar products from other brands, but I’ve tended to like Naked Cosmetics thus far. Shimmer Veil in Amethyst by CoverFX, $28: This was extremely glittery. It’s a fun product, but they maybe went a little overboard with the colorful face products this month. I can only use products like this if I’m dressing up as a fairy or a unicorn. And I ended up giving this $28 product to a three-year-old. Smokey Eye Pencil by Vintage Cosmetics, $21: I really like this. I don’t think it will become a favorite purely because there’s so much black eyeliner in this world. Since I only use pencil eyeliners for my waterline, I can’t use them up quickly. Still, I was impressed by this one, and I would definitely repurchase it if there was some sort of crazy situation in which I actually ran out of black eyeliner. Cosmic Glitter in Cosmic Blue by Bellapierre Cosmetics, $15: A couple things to know. 1. I don’t own a glitter glue, making this an extremely difficult product to use. 2. I live in a more conservative Midwestern state. While I attend my fair share of concerts and festivals, I am not usually going for a bright blue glitter look. February had some strange products in it, and I let a couple others have a pass in that it was fun to try something I wouldn’t purchase for myself. But when you’re looking at the overall value of the box, how much use you can get out of product has to factor in to your evaluation. So I have to mark this one red. Trio Brush Set by Crown Pro, $29.99: These are acceptable brushes. I have a lot of brushes from Boxy, though. Only the smallest of this trio gets a lot of use in my everyday collection. I like the density and shape for the matte highlighting formula I’ve been using to set my undereyes. The others aren’t bad, they just haven’t upset my favorites. Pur x Boxy Eyeshadow Palette by Pur, $36: I love the colors in this palette. It’s beautiful and fun. Alas, the staying power just wasn’t there for me this time. It’s something I wish I could tell you that I love. The shades were all very on trend. It just didn’t work as well as it should’ve. 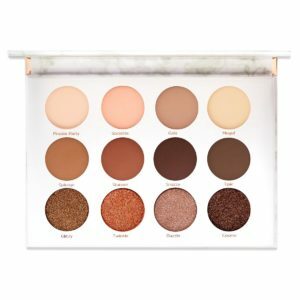 Boxycharm has taken to including a palette in every box. But sometimes I wish they’d focus on quality/substance over flash. Double Decker Lashes Mascara by Butter London, $20: The wand for this mascara is quite interesting. It didn’t get too clumpy on me, and it didn’t smudge. Still I can see how other people might not have great experiences with this mascara. That said, I could mascara additions to the box as a love–at least if they don’t burn my eyes. Which this one did not. Under Eye Gels by South Mane Beauty, $10: These are super fun, but they’re just under eye masks. And I know they aren’t really doing much for my particular under-eye concerns. Sometimes these type of masks feel more like a burden, something cluttering up my makeup drawers, making me feel guilty I’m not using them. Smokey Eye Makeup Brush Set by Vintage Cosmetics, $23.15: I do not love these brushes. Of all the brushes we’ve received in the past, these are some of the least useful for me. There’s also cute sayings on the brushes that don’t actually seem to refer to how you use them, which I find confusing. Make Them Blush by Pretty Vulgar, $26: This is a good formula, but I don’t love the shade. I almost wish I’d received the bright pink variation. I’m probably going to declutter this in the next cycle. Tartiest Pro Glow Liquid Highlighter by Tarte, $29: This is another item that I would never have purchased myself, but which I enjoyed receiving. I don’t love liquid highlighters, and between this and the Becca one from six months prior, I don’t really need this much liquid highlight in my life. Still, this is a really good product. You Had Me At Hello Palette by ColourPop, $18: This palette is AMAZING. I am so glad I got to try a ColourPop palette, especially after the disappointing ColourPop lipsticks. The small pan size is great too, considering how many eyeshadow palettes we’re getting through Boxycharm these days. I was really hoping for the Yes, Please palette. Initially I felt disappointment, but once I tried this, I was very pleasantly surprised. Pores No More Vacuum Cleaner by Dr. Brandt, $47: I love when we get Dr. Brandt products in our Boxycharm. I really like everything about this clay face mask, and it’s been a while since we’ve received a face mask in our Boxycharm. Instatint – Tinted Eyebrow Gel by The Browgal, $22: I don’t do much with my brows normally. I fill in the sparse areas, but I like the size and shape of them. So I was worried about the tinted eyebrow gel being too much. Alas, when I lost my clear Browgal gel, I turned to the next best thing in my existing collection, this. The tint isn’t overwhelming, and it doesn’t feel like a crunchy gel. However, it transfers! So when I wear my big sunglasses, it transfers to the sunglass and then onto my forehead. Not a great look for me. Hi Definition Liquid Lipstick by Adesse, $24: I decluttered this/gave it away. Thick glossy lips are not my vibe. I have long hair, and I HATE the feeling when your hair is stuck to your lipstick. This wasn’t an original or interesting shade to me, so I gave it to someone who could get more use out of it. Pur Sculptor Palette, $30: This palette was just too dark. I am glad it was included for people who have a darker complexion than I do. But it was a pass. And unfortunately, since I couldn’t even really use it at all, I’m giving it a red. CoverFX Blurring Primer, $38: I really like this product. It’s very similar to the Benefit Pores No More primer. It’s a bit thicker and a little less slick-feeling. I do like the quality and use of it. I would genuinely consider purchasing this over the Benefit primer to get a similar effect. I really liked the way it worked on my skin. Pretty Vulgar Ink Gel Eyeliner, $24: Frankly, this was just a super cute product in a lot of ways. I don’t prefer eyeliner that you have to apply with a brush. This is primarily because I feel like I have to wash that brush in between every single use, and a pen is just easier. Still, this was a good product to receive. Aesthetica 3 Piece Eye Trio, $45: This is a good trio with a spoolie, angled eyebrow brush, and a thin liner brush. I do appreciate that Boxycharm included this with the Pretty Vulgar Ink Gel Liner. I appreciate when they give you the tools you need, so you don’t have to buy something in order to get use out of your box. Aesthetica P12 Face Brush, $27: This is a nice domed powder brush. I am a little brush inundated. Thus far I haven’t loved this brush, but perhaps I need to spend more time with it. Beauty Creations Liquid Lip Gloss, $10: Glosses are back on trend, but I will never love them. I hate when my hair sticks to my lipgloss. I can’t even report on the quality of this product, unfortunately, because I gave it away to someone who could use it. 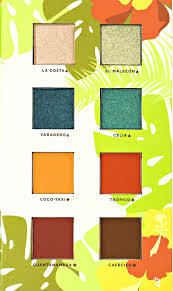 Alamar Reina Del Caribe, $28: This palette is gorgeous and high quality. 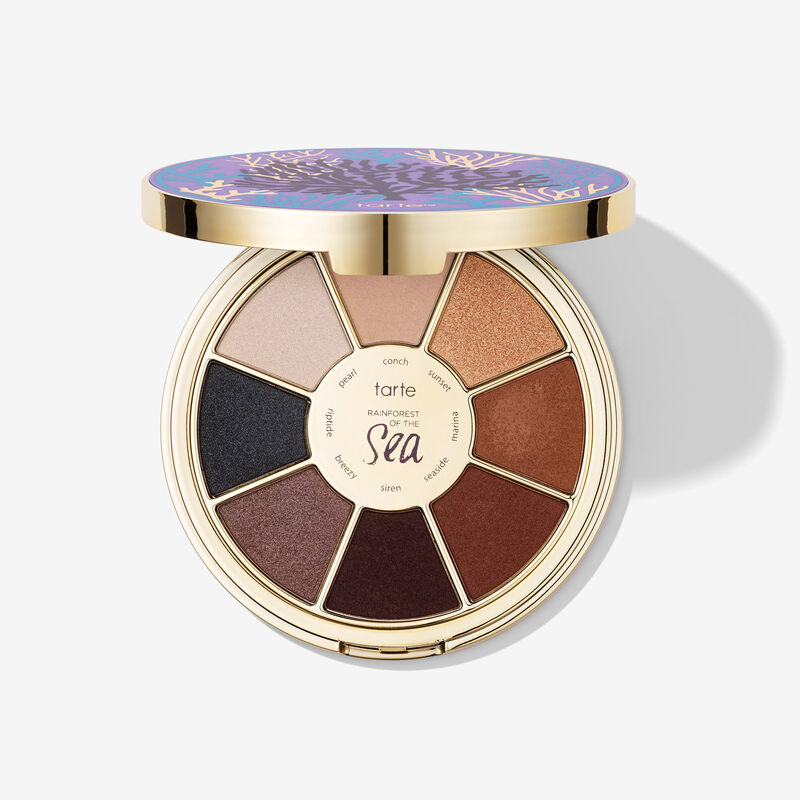 I adored it, and I think most people were in agreement on the high quality of these eyeshadows. Battington Monroe Silk Lashes, $28: I’m having fun receiving new lashes from Boxycharm. Unfortunately, I’m not skilled enough with lashes to really give a good review on these in particular. They’re more dramatic and a little more difficult to work with than the Vintage Cosmetics lashes I’ve been using as I learn how to wear lashes. Sol de Janeiro Brazilian Bum Bum Cream, $10: It was really exciting to receive this small Bum Bum Cream in Boxycharm. I love the texture of this. It’s thick, but it absorbs quickly. The scent is nice too. I still don’t think I can stomach the price tag. But I won’t deny that I’ve been tempted by the full size! Luxie 3 Piece Flawless Complexion, $42: I get a ton of use out of these! I love them so much. The precision foundation brush has been perfect with the contour shade I’m currently trying to pan. The tapered highlighter works beautifully with my most recent favorite highlight. 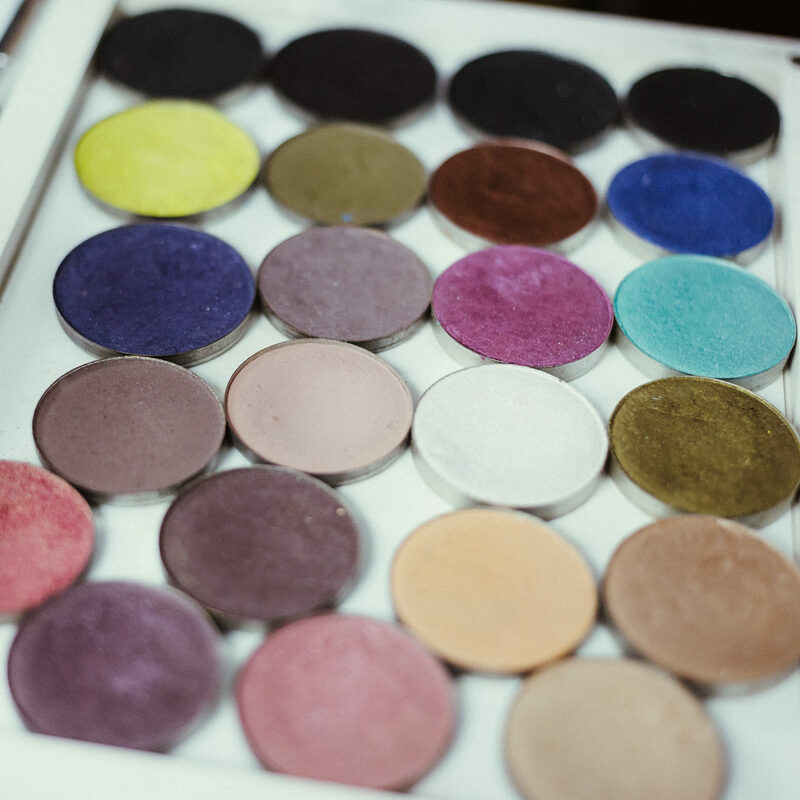 And the duofiber brush is great with a variety of products, including highly pigmented blushes. Jonteblue Waterproof Eyeliner Pencil, $5: This is a trash eyeliner pencil. I don’t know how people use it without hurting themselves. It doesn’t deposit product easily. I could’ve scratched my eyes out with this before managing to get the faintest eyeliner. OFRA Longlasting Liquid Lipstick in Verona, $21: You all know how much I love OFRA. This shade was a deeper brown. But I was glad to add it to my collection.